Solo medalist winner in the young adult category of the 2015 New Apple Book Awards! Finalist in the 2016 IPNE Book Awards. In the first of a new series of books, military brat and albino, 13-year old Portia Maddox, has bounced from school to school, always an outsider. So when Denise Laughton, the most popular girl in her class, asks for her help in exchange for an invite to Denise's big birthday party, Portia jumps at the chance to go. But there's a catch: Portia must spy on Randy, Denise's boyfriend, to find out whether he's cheating on her. Portia's spying, however, unearths a tangled web of duplicity, hidden agendas and family secrets. And when Portia's budding friendship with social outcast Judy and her feelings for Randy conflict with her plans to befriend Denise, Portia must make the hard choices for the good of all. Parental advisory: contains some strong language. 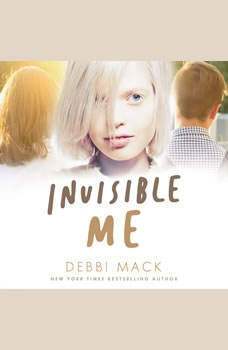 Debbi Mack is the New York Times best-selling author of the Sam McRae Mystery Series. In addition, she's a Derringer-nominated short story writer, whose work has been published in various anthologies. Debbi formerly wrote book reviews for Mystery Scene Magazine. She writes screenplays and is interested in filmmaking. Debbi also has a podcast called The Crime Cafe, where she interviews crime fiction, suspense, thriller, and true crime authors. Debbi enjoys reading, movies, travel, baseball, walking, cats and good espresso - not necessarily in that order.